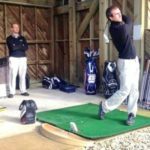 Clubfitter and builder Alexandre D’Incau is passionate about golf equipment and dedicated to helping improve his clients’ performance. 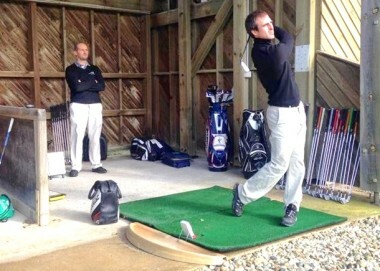 He understands that properly fit equipment is the key to transforming your game. Ill-fitting equipment forces the player to swing unnaturally and compromise his technique. Alexandre says he aims to deliver a set of clubs “that your feelings will be the same from one club to another; a club that is forgotten during the swing so you can concentrate fully on your actions and your goal.” To achieve these objectives, Alexandre uses advanced fitting technology and well-honed expertise. He uses a Flightscope launch monitor to gather and compare data about your swing with each of the client’s existing clubs and then each of the clubs tested. Through this process, Alexandre is able to determine what unique combination of equipment specifications will optimize your swing characteristics – enabling you to maximize your game’s potential. 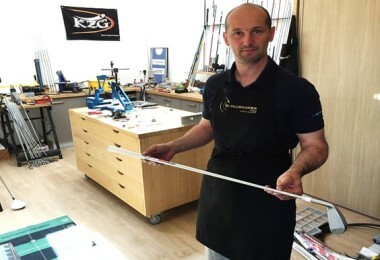 To realize this goal of perfectly custom built clubs, Alexandre uses state-of-the tools and measuring devices combined with meticulous building practices. KZG is the ideal match for a fitter of this exacting nature because of the wide range of product and high degree of customization. Alexandre finds he can fit any golfer perfectly within the extents of the KZG line. 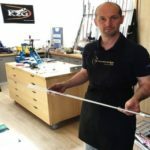 Alexandre has earned more than the accolades of many satisfied clients; he has been honored as one of the World’s Top 100 Clubfitters seven years in a row, 2012-2018 and is an elite member of the International Professional Association of Clubfitters (IPAC), comprised of leaders in the field of custom fitting. His commitment to his craft and enthusiasm for helping golfers improve their game are what make a visit with Alexandre so empowering. Set up an appointment to get fit today and get ready to up your game!